It's been a trying season for White Sox second baseman Yoan Moncada, but there are still reasons for optimism within the numbers. 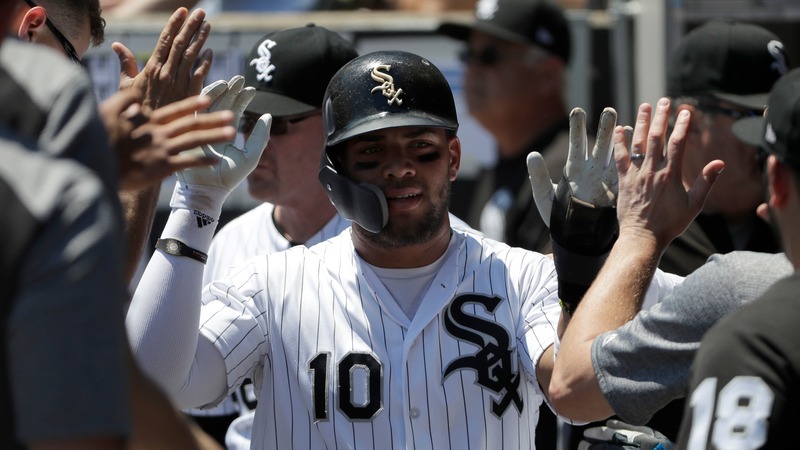 If you were expecting White Sox second baseman Yoan Moncada to begin making strides towards realizing his All-Star potential in 2018, what's unfolded over the last five months has probably been a shock. Moncada's raw talent has been evident on a number of occasions. However, he's gone through prolonged stretches where he hasn't just been inconsistent, he's been bad. The 22-year-old has shown expected power and speed with 16 home runs and 11 stolen bases. But almost nothing else has gone as planned. The White Sox knew that Moncada would be prone to striking out, but a 34.1 percent strikeout rate isn't something you overcome easily. With a lower than expected walk rate (though still serviceable at 10.4 percent) to boot, the expected on-base machine hasn't met expectations with a .302 OBP. A look at his .318 BABIP indicates there isn't a lot of good luck out there to help improve his .232/.302/.393 slash line either. However, if we cut a little deeper there are reasons for optimism within the numbers. As The Athletic's James Fegan pointed out on Wednesday, for starters there's the fact that he's been much better in high-leverage situations. He's slashed .264/.304/.477 in those bigger moments and the idea that he could dial in that frequency more often is a reasonable one. And while he's stuggled hitting from the right side of the plate all season, recent trends suggest he's making necessary adjustments and the peripherals indicate he's due for some better bounces from that side of the dish. He's got a .260 BABIP from that side of the plate despite his impressive speed and a groundball rate of over 50 percent when he's swinging it righty. That number is bound to come up and bring the rest of his abysmal .179/.263/.291 slash line with it. That alone won't correct the issues, but it'll make the overall body of work more acceptable. Then the fact that he's actually seeing the zone a little bit better as a righty (identical walk rate and lower strikeout rate) is another reason to be encouraged. Combine it all with the technical adjustments Fegan [details](https://theathletic.com/494470/2018/08/29/why-the-white-sox-arent-giving-up-on-yoan-moncadas-right-handed-hitting-anytime-soon/) in his piece leading to an improved .234/.304/.429 slash as a righty in August and thing start looking up a little. You won't find proof of a superstar hidden in there, but you can start putting together the idea that he's beginning to improve. That was always going to be how his season was defined anyways. Even in a best-case scenario for 2018 where Moncada started looking like an All-Star, his success with this organization as the centerpiece of the Chris Sale trade was always going to hinge on who he is as a player in 2020 and 2021 anyways. As nice as it would have been to see him have it all figured out 790 plate appearances into his career, that wasn't realistic for a player with that much swing-and-miss in his game. It's going to take time for him to take control of the strike zone the way he's expected and that's when the natural talent *can* shine. It doesn't mean that it will. You don't get guarantees like that when it's so damn hard to hit a baseball. However, it's enough reason to say that the panic is premature.